I used the Splitcoast Sketch#369 here for this Valentine's card. I also used the stamp set, With All My Heart and Patterns DSP Brights, Neutrals and Subtles. 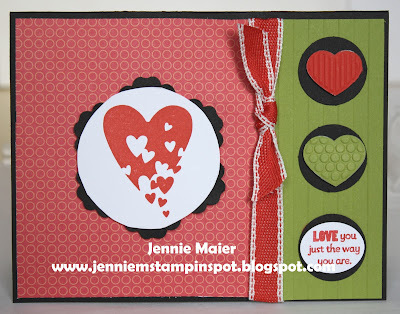 Also, note the cute little hearts in the corner are from the Fashionable Hearts Embosslits Die. I used the Stamping 411 Sketch#239 here, along with the Splitcoast Color Challenge#359 here. The colors to use are Basic Black, Lucky Limeade and Poppy Parade. 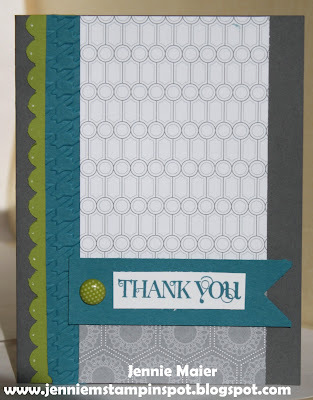 Again, I used the Sprinkled Expressions stamp set. 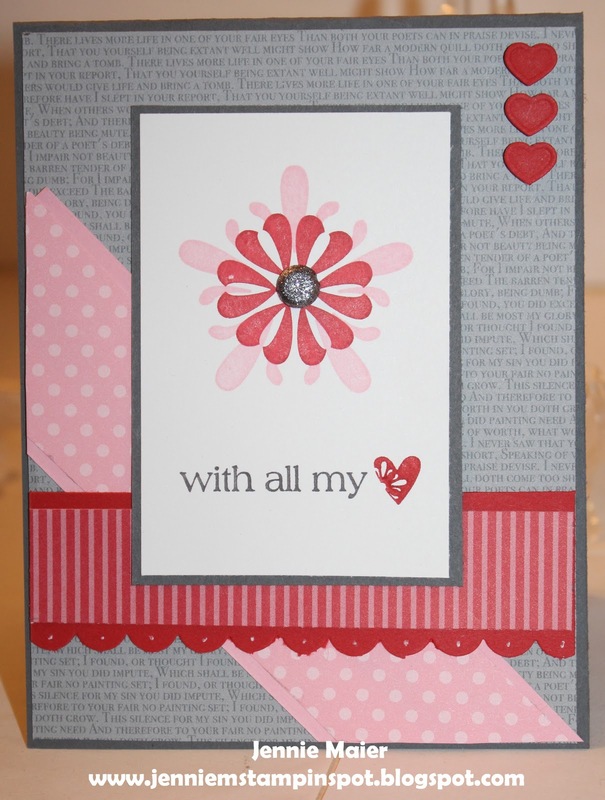 A bit of a different look for a Valentine's card. Here's a card using the 2012 Sale-a-bration DSP, Everyday Enchantment, and one of the SAB stamp sets, Sprinkled Expressions. Sale-a-bration runs today thru March 31st. Contact me to place an order or have a party to get your FREE goodies with every $50 order! And earn a free tote, along with the other free goodies with a $150 order too! Here's another Splitcoast challenge card. I used the Splitcoast Color Combination#358 here. 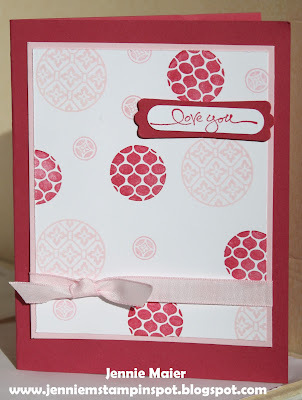 The colors to use are Pretty in Pink, Pink Pirouette and Rose﻿ Red. 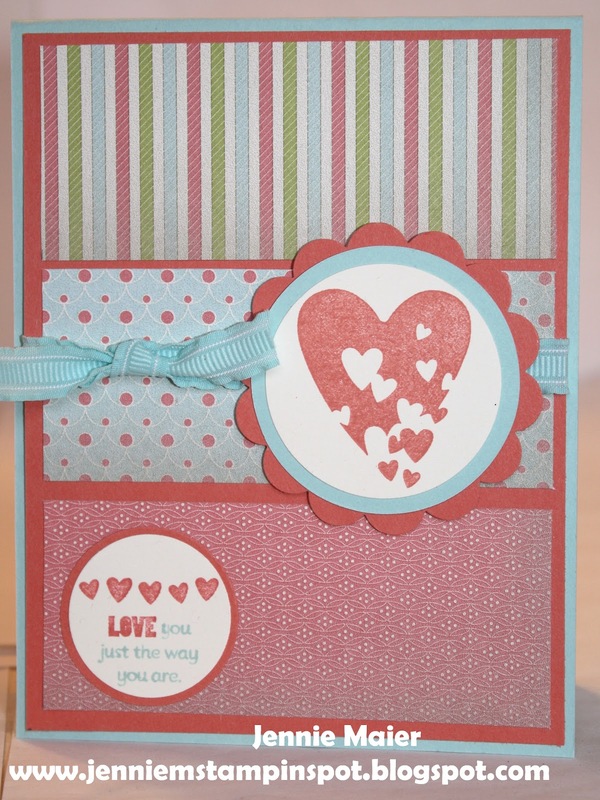 I thought it's also a fun way to show you can use the Circle Circus set for a Valentine's card too. 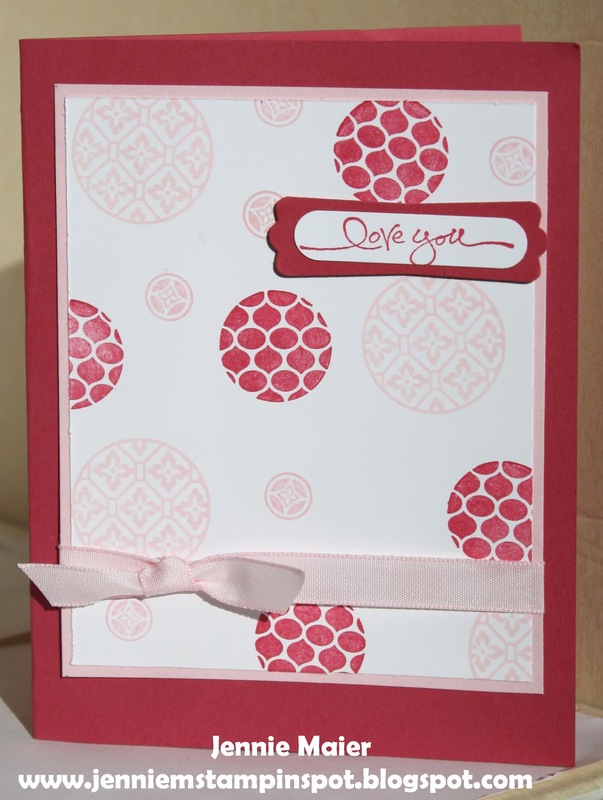 I used the PPA Sketch#127 here for this card. The two stamp sets are Vintage Vogue and Tiny Tags and the papers are from the Twitterpated DSP. 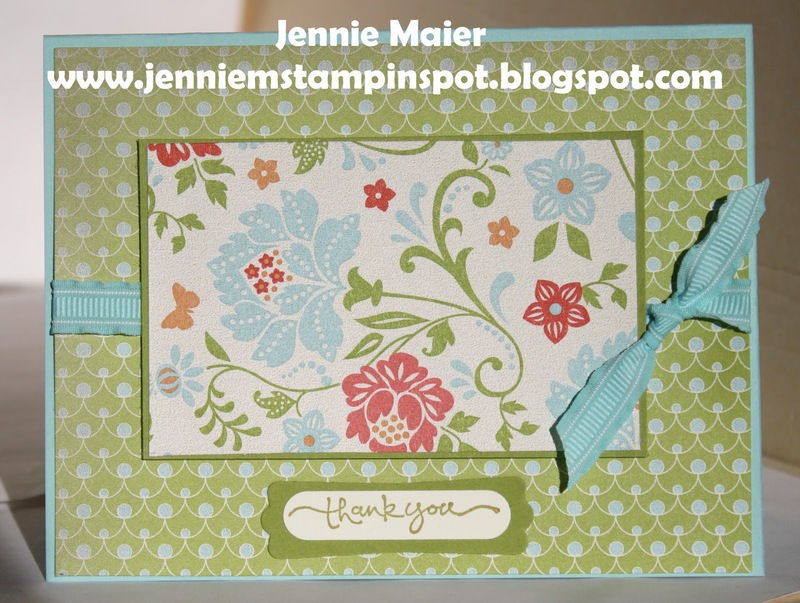 For this card I used the Splitcoast Sketch#368 here. Wouldn't this be a perfect thank you for a nice dinner? 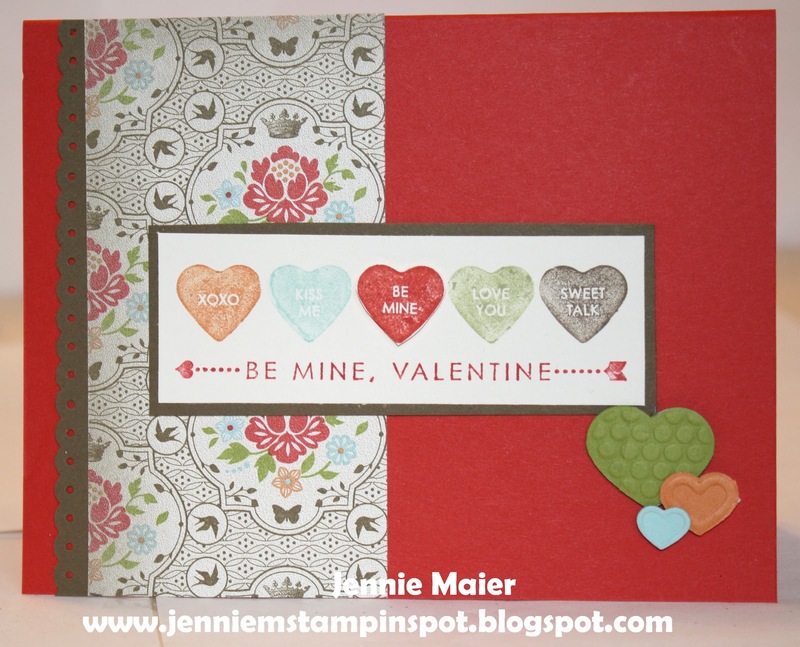 I used the Stamping 411 Sketch#238 here for this quick card. 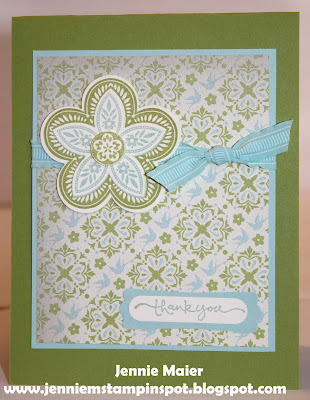 I also used the SAB set Sprinkled Expressions and the SAB paper, Everyday Enchantment DSP. I used the Splitcoast Sketch#367 here for this card. 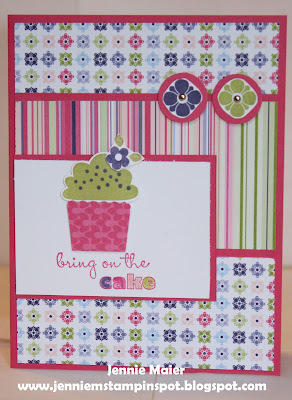 I also used three stamp sets, Bring on the Cake, Create a Cupcake and Fruit and Flowers. 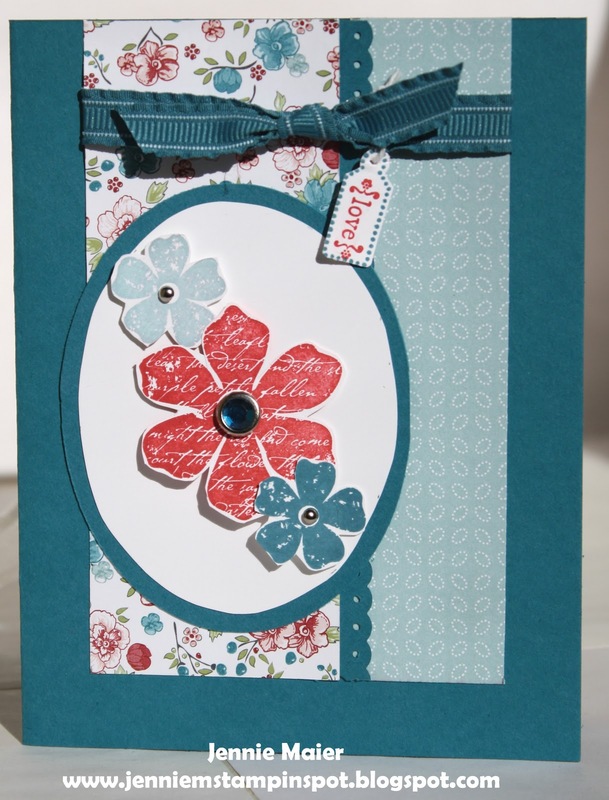 This quick card was made using more Twitterpated DSP, the Triple Treat Flower stamp and the Short and Sweet stamp set. This design could be used again and again, just change the papers and you get a whole new look! 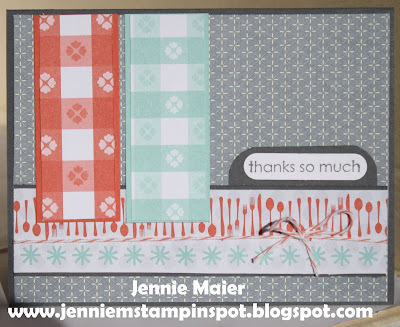 This card uses the Splitcoast Color Challenge#357 here. The colors to use are Blushing Bride, Baha Breeze and Riding Hood Red. 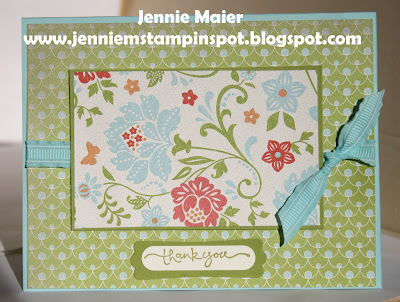 And then I used the Stamping 411 Sketch #237 here. I love the Twitterpated DSP and the Mixed Bunch stamp set! 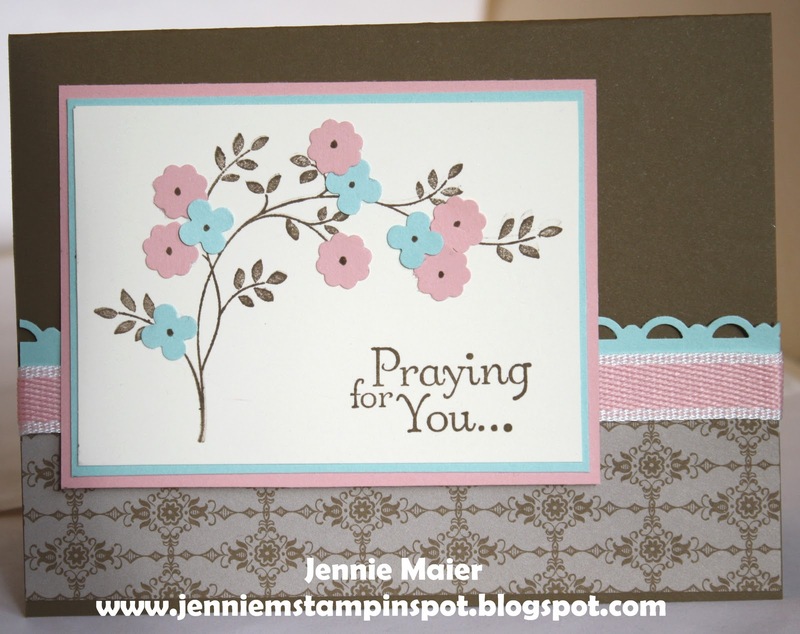 This card uses the Create with Connie and Mary Color Challenge#183 here. The colors are Blushing Bride, Pool Party and Soft Suede. I inked up a "new to me" stamp set-Thoughts and Prayers. 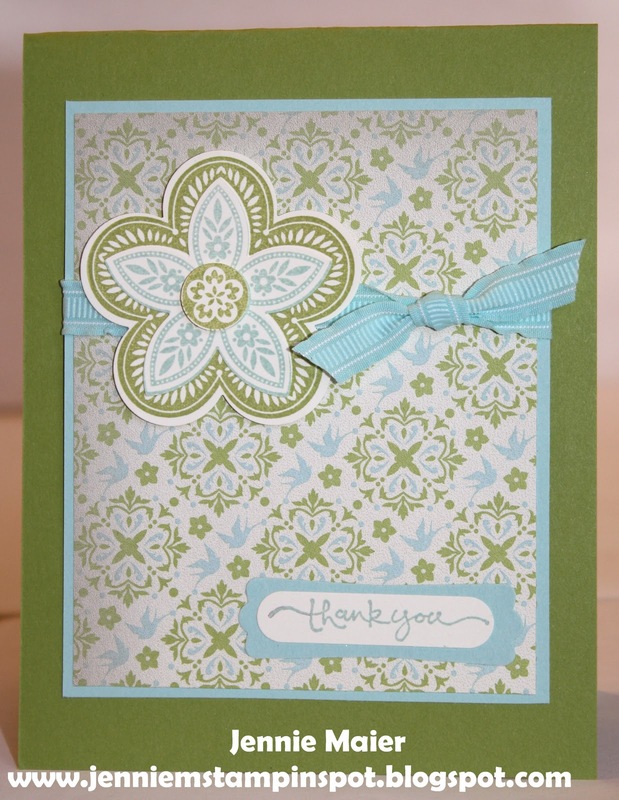 I used the PPA Challenge#126 here for this card. The colors to use are Baha Breeze, Not Quite Navy and Very Vanilla. 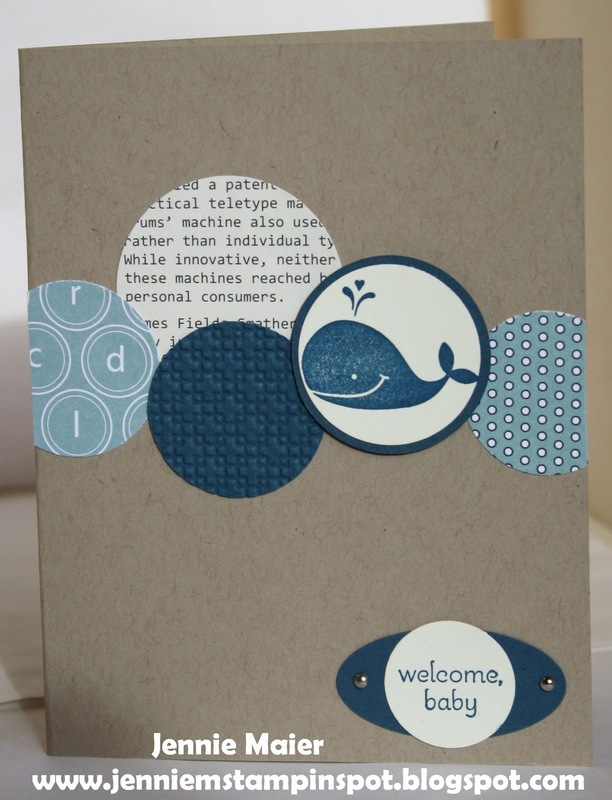 I need a baby boy card so I thought this combo would be perfect for the card! You could easily change it up for a girl too! A Splitcoast Sketch with Sale-a-bration Goodies! For this card I used the Splitcoast Sketch Challenge#366 here. 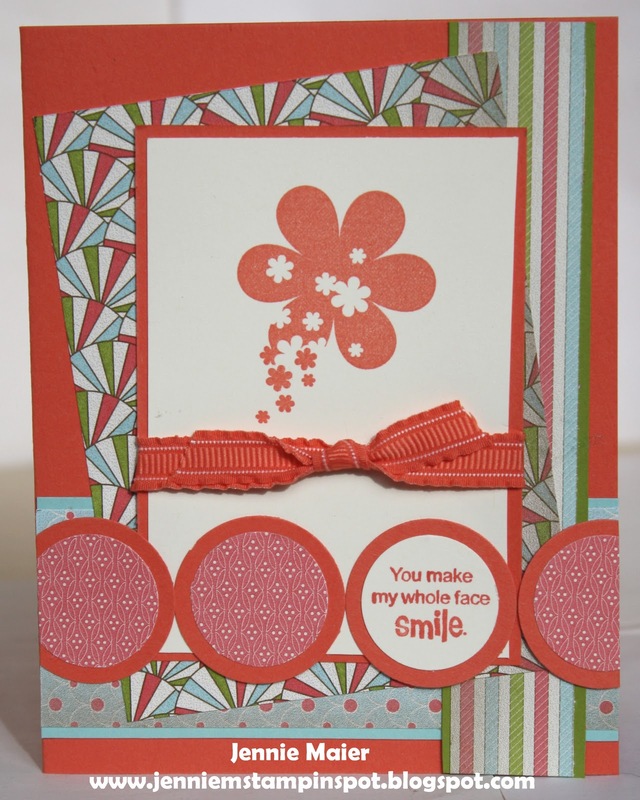 It also uses the Sale-a-bration DSP, Everyday Enchantment and the Sprinkled Expressions stamp set. Yep, it's another thank you and it's using more Twitterpated DSP. It also qualifies for the SUO Challenge#35 here. The challenge is to use punches. I used the Decorative Label punch and the flower from the Itty Bitty Shapes Punches pack. 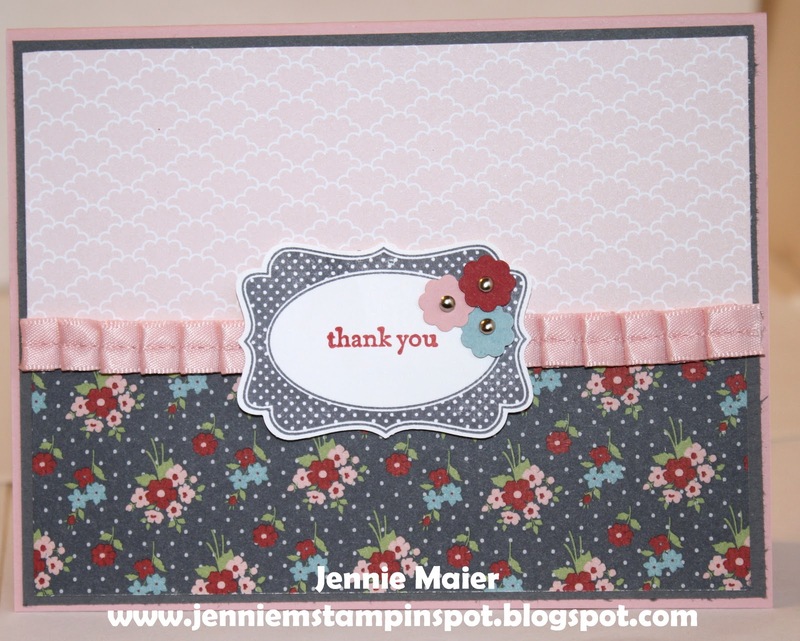 For this thank you I used the Stamping 411 Sketch#235 here. Love this sketch to show off the soon to come, SAB DSP-Everyday Enchantment! Yipee! 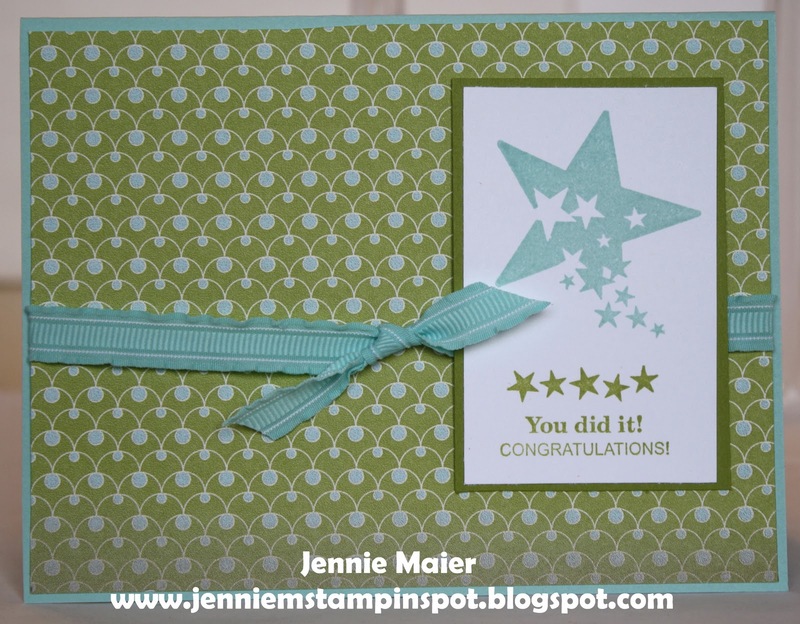 I had time to stamp today. So I used the Create with Connie and Mary Sketch #182 here. I combined that with the Splitcoast Color Combination#356 here. ﻿The colors are Basic Gray, Island Indigo and Lucky Limeade. I need lots of thank yous for all the wonderful Christmas gifts so you'll probably seeing plenty of those in the days to come. Happy New Year everyone! I'm happy to be back at stampin' and posting on my blog. It was a nice, yet crazy few holiday weeks! 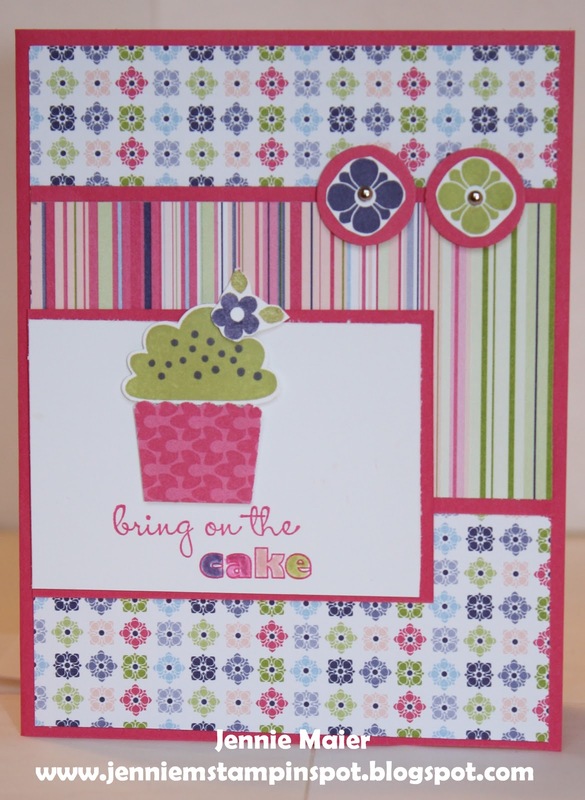 This card uses new goodies from the Occasions Mini(up for sale on January 4th!) and Sale-a-bration catalogs. Also new for me this new year, I'm going to streamline my posting by just listing supplies I used for my creations. Feel free to contact me anytime if you have questions about particular posts!